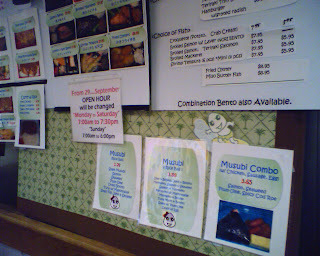 After deciding to have lunch at Rainbow’s Drive In we took a detour instead to the musubi place in Kapahulu. 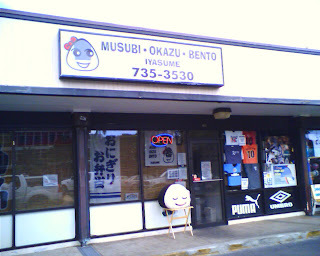 This place is marked by the giant musubi sitting outside the establishment. My sons were definitely hungry today.